With many business owners looking to reduce their SEO budgets, there are a wide number and varying quality of websites offering advice and tips on how to improve the ranking of your site (from paid links to Indian article writers—some good, some bad). 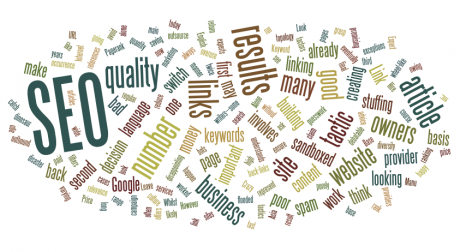 Leave the guesswork out: here we look at some SEO tactics to avoid. A tactic that used to work many years ago is now an SEO dinosaur. The tactic of keyword stuffing involves the gross overuse of keywords within an article or page. In some cases this can be as high as 10%. This results in very poor quality articles, and content which likely cause your readers to switch off, and the Google spam filters to switch on! Have they every worked? It’s certainly debatable. This tactic involves creating a number of mini-sites or pages, and linking them in a wheel-like topology. The second article may link to the first, the third to the second and so on, until the final article links back to the first, with all linking back to your main website. There are a number of variations which some claim will work, but if the spam bots don’t find it today, you can bet that they will catch up with you eventually. Many business owners are flooded on a daily basis with the offers of affordable SEO and Internet marketing services from India and South Asia. Whilst promising a lot, the results can often be disappointing, largely owing to the ‘experts’ poor grasp of the English language and culture. There are exceptions, though. What’s important is that you always make sure your SEO providers understands the language, your product, and your target audience, no matter where they’re from. Most importantly, ensure that they are going to represent your brand in a manner you would be happy. If you are looking to outsource your SEO, do not make a decision purely based on price. Look at the quality of results that the provider can already show you, and ask to see references. A good SEO may rank your website twice as fast as a bad one, saving you money in the long run. Link building is one of the most important factors of any SEO campaign. However, throwing too many links at a single URL, without a good range of diversity, can result in your site being sandboxed by Google. This is a very rare occurrence, but it can and does happen on a regular basis. Once sandboxed, your site will disappear from all search results, for all your keywords: a disaster for most business owners. When building content on your website, think about what your visitors would like to read. Think about quality, not quantity. When creating back-links, think about the relevance of the sites, the Pagerank and of course the number of outbound links already on the page. When employing an SEO provider, don’t base your decision on money alone but on results and return on investment. About the author: This article was written by David Hamer, working for Aberdeen Electrician Proserv (Scotland) Ltd, and Rockcandy Gallery in Edinburgh, suppliers of the Rochet Predator Watch. Hmm, interesting article! I have never thought to make a list of things to avoid. It is a very useful and helpful article for SEOs. Keyword stuffing is indeed a thing to avoid. You must be very careful when using keywords. You indeed risk losing yours visitors and have troubles.